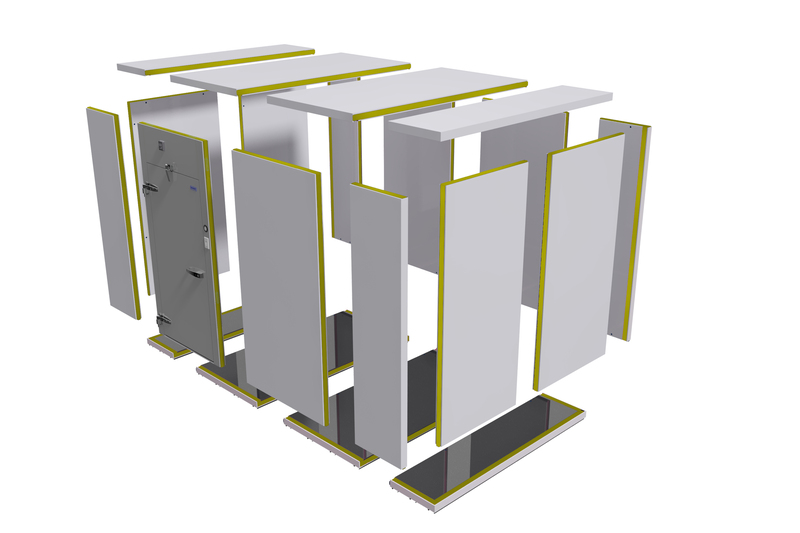 Norbec cold rooms are custom made to fit the precise dimensions for optimal space maximization. Norbec panels offer a wide range of possibilities, increments of half and inch, based on specific needs. Thicknesses of 3, 4, and 5 inches are offered and cam have a maximal height of 18 feet. Holes in wings permit a maximum flow of foam and provide additional holding power. Spring mechanism adds extra closing force to overcome air resistance on heavy walk-in doors.